A backpacking trip is all about frugal traveling. 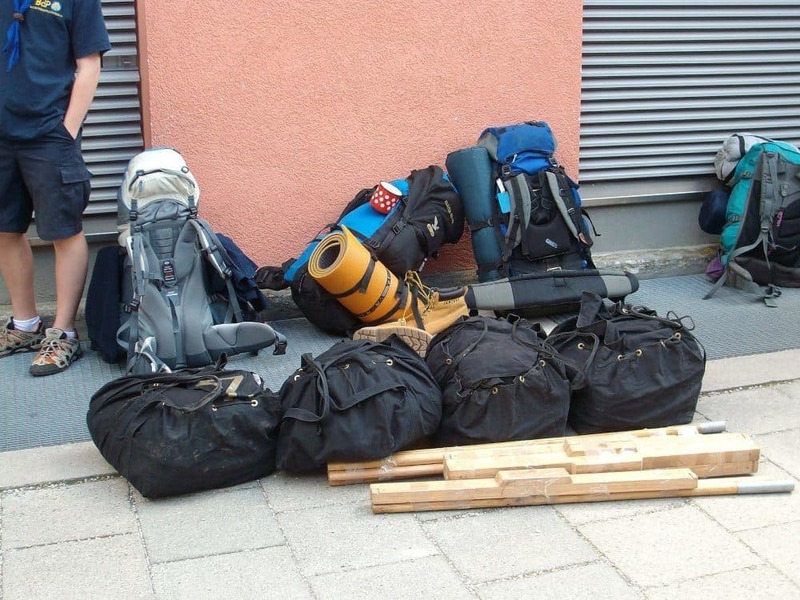 It means you will be carrying your backpack for several hours a day during a backpacking trip. If the backpack isn’t the right fit for you, it will cause severe back and shoulder pain and spoil the trip. 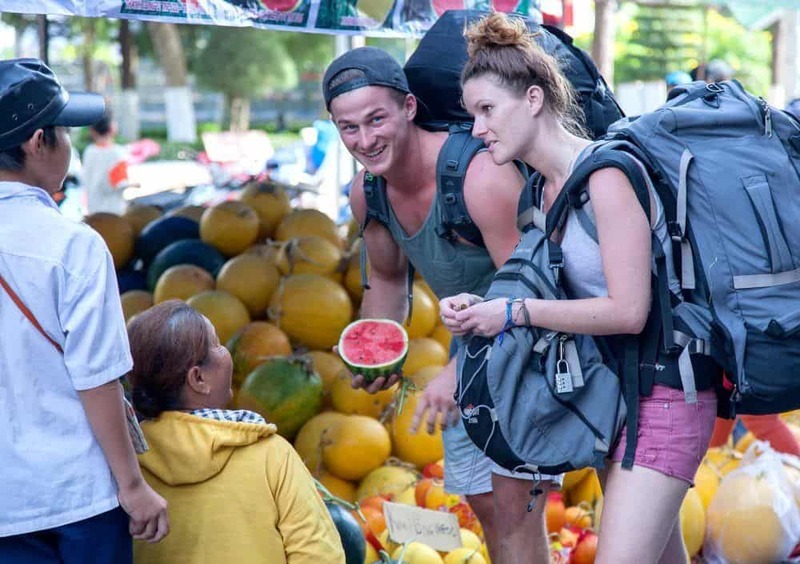 A proper travel backpack is heavy and wearing it in the wrong way exerts unnecessary pressure on your neck, shoulders, and back, which are already under pressure. Correcting how you carry or wear the backpack is easy, but if the backpack itself is not the right one for you, then there’s little you can do during a trip to prevent back pain. Hence, you need to buy a backpack that’s the right fit for your body. The right fit means that the size of the backpack is in proportion to the size of your body, especially the length of your torso. 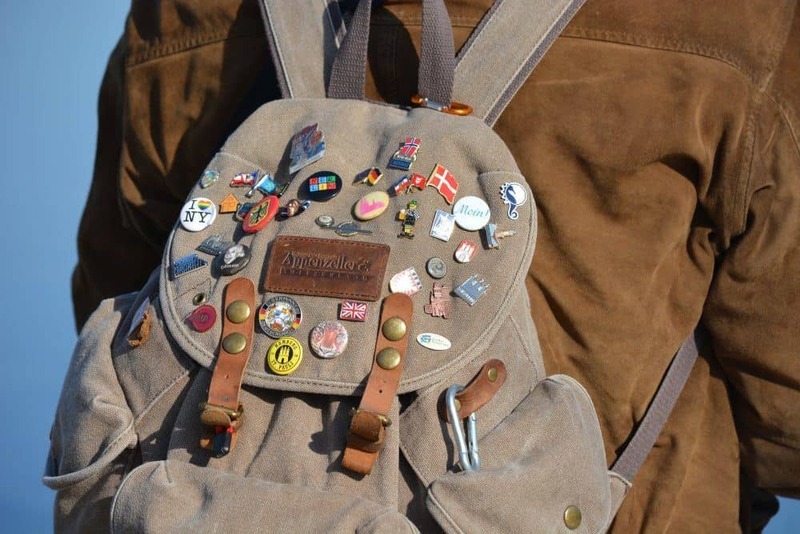 A number of things need to be taken into consideration while determining how to fit a backpack correctly. It not only depends on the size of the backpack and the adjustments made to the straps but also on how the backpack is carried. To fully understand how to fit a backpack, you will have to be mindful of each of these factors. You need to measure your torso length in order to determine the ideal backpack size for you. You will need a tape measure and someone to help you measure your torso length. The measurement has to be taken from the top of your torso till the bottom of your torso. The topmost vertebra or the 7th cervical vertebra (C7), which is the meeting point of the slope of your shoulders and your neck is the top of your torso. You can feel it with your fingers when you tilt your head forward. To determine the bottom of your torso, place your hands on either side of your waist, just above the pelvic bone. Make sure that your index fingers are pointing to the front and your thumbs are pointing to the back. Hold your hands steady and align your thumbs across your back to form an imaginary line. The midpoint of this imaginary line is the bottom of your torso, for the purpose of measuring the torso length. Ask the person helping you out to place one end of the tape measure at the top of your torso and measure down till the midpoint of this imaginary line to measure the length of your torso. Make sure you’re upright as the measurement is taken. Most good stores (offline or online) selling backpacks will be able to point you towards the backpacks that match your torso length and provide recommendations regarding how to fit a backpack. Then it’s up to you to select the style of backpack you prefer. While the torso length is enough in most cases, it doesn’t harm to measure your hip size as well to determine how to fit a backpack. Typically, backpacks are designed keeping in mind the equivalent waist or hip size for a particular torso length. Hence, just the measure of your torso length is enough to pick up the ideal backpack for you. However, it makes the task of picking up the right backpack easier, if you have the measure of your waist or hip size readily available as well. Along with the shoulder straps, the hipbelt bears a major portion of the backpack’s weight. The fit of the hipbelt is crucial for this reason. The hipbelt size is not the same as the waist size for your trousers and jeans. It’s measured just above the pelvic bones. The same place you had placed your hands while measuring your torso length. Wrap the tape measure around the top of your pelvic bones. This is your hip size. Now that you have both the torso length and hip size, you’re closer to understanding how to fit a backpack and identifying the perfect backpack size for you. If possible, buy a backpack with adjustable suspension. This enhances the overall fit of the backpack and matches the requirements of individual users within a particular range of torso lengths more precisely. Buying the right backpack for you based on your torso length and hip size is only half the job done. The weight of the backpack is held up by a variety of straps. These straps can be adjusted to improve the fit of the backpack and reduce the pressure exerted on your back, shoulders, and neck. The muscles in our legs, including the thigh muscles and the calf muscles, are some of the strongest in our bodies. The straps need to be adjusted to transfer the majority of the pressure onto the hip (or the core of the body) and in turn, onto the leg muscles. The shoulder straps and the hipbelt are the two primary type of straps in all backpacks. The two other types of straps that can be added to the backpack, in case they aren’t provided, are the load-lifter straps and the sternum strap. 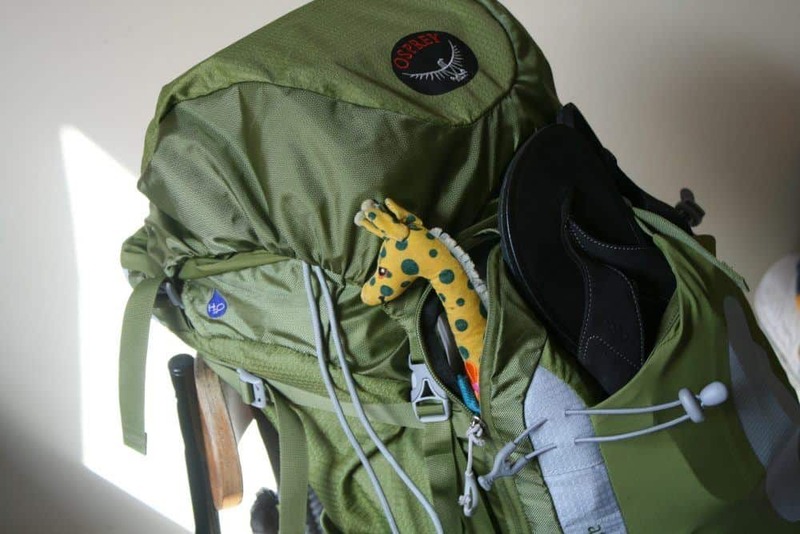 Before the adjustment process can begin, fill up the backpack with 10-15 pounds of stuff. A 15-pound dumbbell isn’t a good choice, as it won’t mimic the weight distribution of a fully packed backpack. Instead, pack clothes left in the laundry basket, shoes, some books, etc. Also, making the adjustments will be a lot easier if you have someone helping you. The hipbelt needs to be adjusted first because it has a direct bearing on the positioning of the shoulder straps. Wear the filled up backpack and wrap the two ends of the hipbelt around your torso with both hands. Adjust the positioning of the hipbelt on the torso until it sits just above the pelvic bones, which is known as the iliac crest. In case the position of the hipbelt is higher or lower than the iliac crest, you will have to adjust the shoulder straps to get the positioning correct. If you have someone helping you with the adjustments, this process will be a lot smoother and will be done much quicker. Fasten the clasp lock on the hipbelt and then tighten or loosen it till you get the right fit. Remember not to pull in your stomach or hold your breath while making these adjustments. You want the fit to match your natural body structure. Also, do not overtighten the hipbelt. It should have a snug fit without being restrictive. Initially, an overtightened hipbelt might feel good, but it will start to pinch and scrape after a while. The belt padding should extend a little beyond the pelvic bones, while not shifting from its position around the iliac crest. In case the belt padding isn’t extending as much as it should, try to adjust the shoulder straps to remedy this situation. If that doesn’t help, you might have to take the backpack back to the store and get it exchanged. It’s important to transfer as much of the burden of carrying the weight of the backpack away from the shoulder straps. If that’s not done, your neck muscles, shoulders and upper-back muscles will be under severe strain, which could even lead to a muscle sprain. Adjusting the shoulder straps correctly will ensure that this is accomplished. Pull the straps in a down and back motion to tighten them. You need to ensure that the anchor points of each shoulder strap should ideally be about two inches below the top of the torso or about the same level as your shoulder blades. If, however, the anchor points are either higher or lower than this, it could be due to one of two reasons. The first reason could be that the positioning of the hipbelt isn’t correct. In which case, you once again tighten or loosen the shoulder straps and adjust the positioning of the hipbelt. The second reason could be that the backpack doesn’t match your torso length. Measure your torso length once again. If it’s the same number that you got the first time, go back to the store to replace the backpack. Practice tightening and loosening the shoulder straps in small increments. This will come in handy while you’re out and need to make small adjustments to get the right fit. Not all backpacks come equipped with load-lifter straps. However, it can be added as an attachment. If you’re going on a hike or if the backpack is particularly heavy, then load-lifter straps can be very helpful. These straps form an angular connection at 45 degrees between the shoulder harness and an anchor point on the top of the backpack’s back panel. It relieves some of the pressure being exerted on the shoulder harness and the shoulder straps. However, if the load-lifter straps are overtightened, they will eventually prove to be detrimental instead of helpful. Excessive tension in the load-lifter straps will lead to discomfort and pain in the shoulder joints after a point. Similar to the load-lifter straps, not all backpacks are equipped with a sternum strap. But just like load-lifter straps, it can be attached later. The primary preference should be for a backpack that is already equipped with all four of these straps. It’s only when you find a particular backpack that meets all of your other criteria, except the presence of load-lifter straps and/or sternum strap, should you consider attaching them separately. The sternum strap is connected to the two shoulder straps and allows you to adjust the width between the two straps for easier movement of the arms. The ideal positioning of the sternum strap is about an inch or two below the collarbones. You can slide it up and down to get this positioning right. While you’re adjusting the hipbelt and the shoulder straps, do not touch the sternum strap, as it will unnecessarily complicate the process. When both the hipbelt and the shoulder straps have been adjusted perfectly, move the sternum strap to a comfortable position across the chest. Once the position of the sternum strap feels comfortable, buckle it and adjust the tightness. If it’s too loose, you won’t get any additional support and the shoulder straps will be too wide apart, restricting the movement of your arms. If the sternum strap is too tight, your breathing might get affected. So, a few different levels of tightness until you find the right fit. 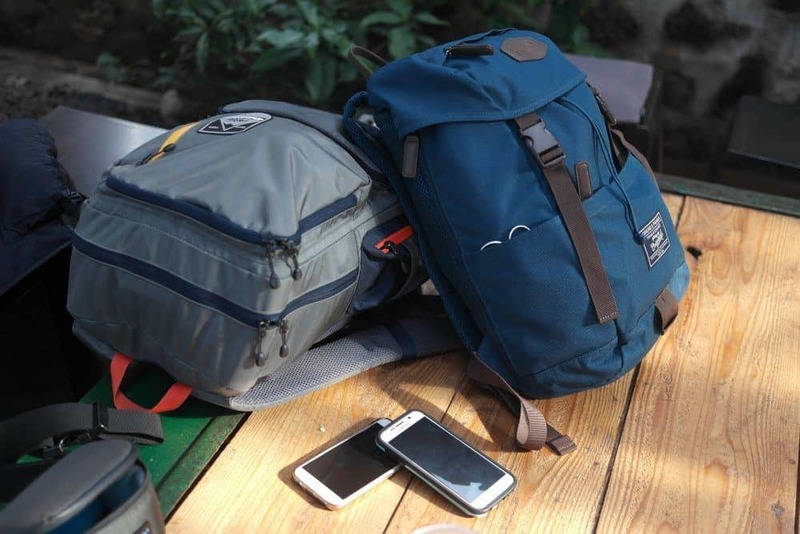 You have done all you can to get the perfect fit for your backpack, but after a day or two on the road, all the settings will alter slightly as more pressure is exerted on the various straps. Hence, you will have to continue making minute adjustments during the trip to ensure that at all times you get the necessary support from the straps to help reduce stress on your shoulders, neck muscles and upper and lower-back muscles. 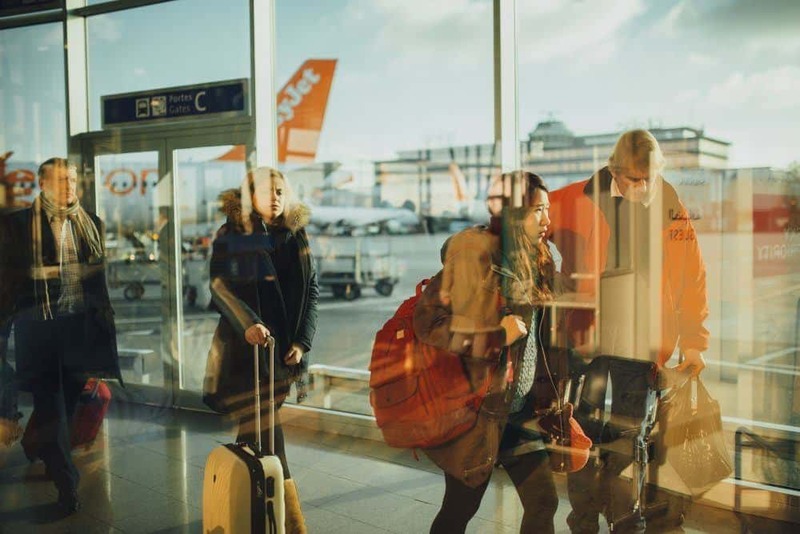 To be able to make minute adjustments while traveling, you will need to practice doing the same before you leave. In the days leading up to your departure, keep practicing making small adjustments. Mark the ideal positions on the straps so that you can go back to the ideal fit before leaving. Do not take chances with this. You might think you will remember the ideal positions for each of the straps and maybe you will, but it’s better to mark the positions with a distinguishable permanent marker. 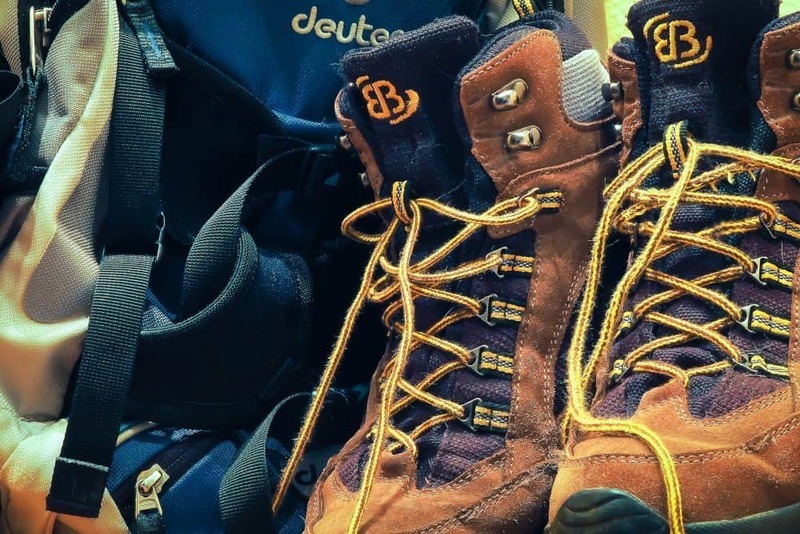 The ideal positions of the straps will vary between walking on plain surfaces such as roads or even hiking trails and steep surfaces such as a foothill or a particularly steep trail. You will have to tweak the positions of the straps a few times to find the right fit. After a point, load fatigue is bound to set in. One quick fix for this is to alternate between tightening the shoulder straps and loosening the hipbelt and vice versa. Another tip to balance the load is to walk with a slight lean forward as opposed to leaning backward, which will increase the load. Do not hesitate to stop and take a break. Your body knows exactly when it needs a break and it communicates that to you. By ignoring it you will increase the chances of a muscle sprain or a more serious injury. People often hesitate to take a break while traveling in a group. They delay taking a break till the others want one. But not everyone’s body reacts in the same way. So, go ahead and take a break and catch up with them a little later. Wear both shoulder straps at all times while moving with the backpack. If you wear just one shoulder strap over one shoulder for extended periods of time, there are chances you will injure your shoulder. You could even trip and fall due to the imbalance of the weight. Make sure that the backpack doesn’t move from side to side while you’re moving. Adjust the straps as necessary to eliminate this. If the backpack moves too much it will cause chafing, which after a point will make it almost impossible to carry the backpack. On long trips this can become extremely problematic, leading to delays. The backpacking thumb rule is that the weight of your fully packed backpack should be no more than 20% of your body weight. For example, if your body weight is 100 pounds, the weight of your fully packed backpack should not be more than 20 pounds. If the backpack weighs more than this 20% threshold, there’s a good chance it will cause an imbalance. If you’re carrying a smaller backpack for use on short day trips during your travels, make sure that the weight of this backpack, when fully packed, is not more than 10% of your body weight. It will ensure that you’re mobile and do not tire quickly. To further support the weight of the backpack, you can use a trekking pole. If you’re a beginner, then train your body to withstand such weight over extended periods of time before embarking on a long trip. Start by filling up 5 pounds worth of stuff in the backpack and head to a hiking trail close to where you live. Slowly increase the weight until you feel comfortable carrying such weight for extended sessions. You do not want to breakdown in the middle of the trip. 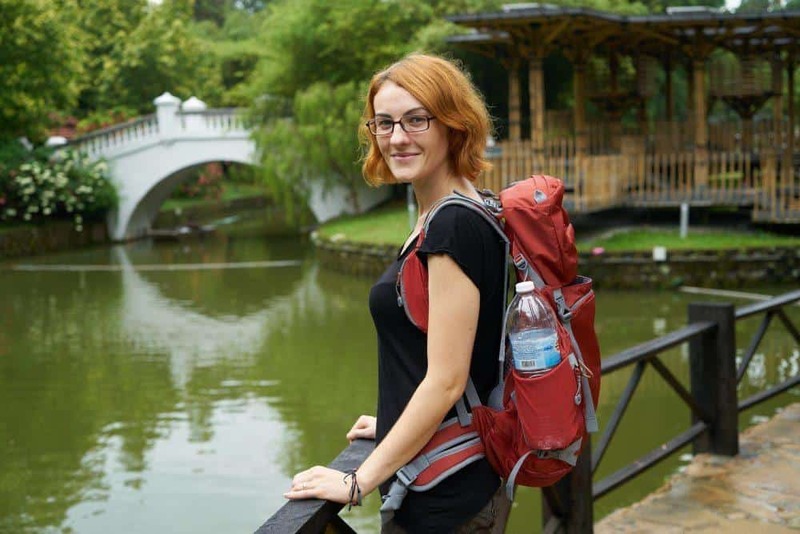 Backpacking is fun and provides an opportunity unlike any to learn and explore. However, it’s an extreme form of traveling. You will not be staying at a resort or have a car at your beck and call. The most challenging facet is carrying all of your things in a backpack, which lends its name to this form of travel. Hence, selecting the right backpack and getting the fit perfect will have a major say on how good your trip is. Leave the frugality associated with this form of traveling to the actual trip. Do not cut corners while buying the backpack itself. 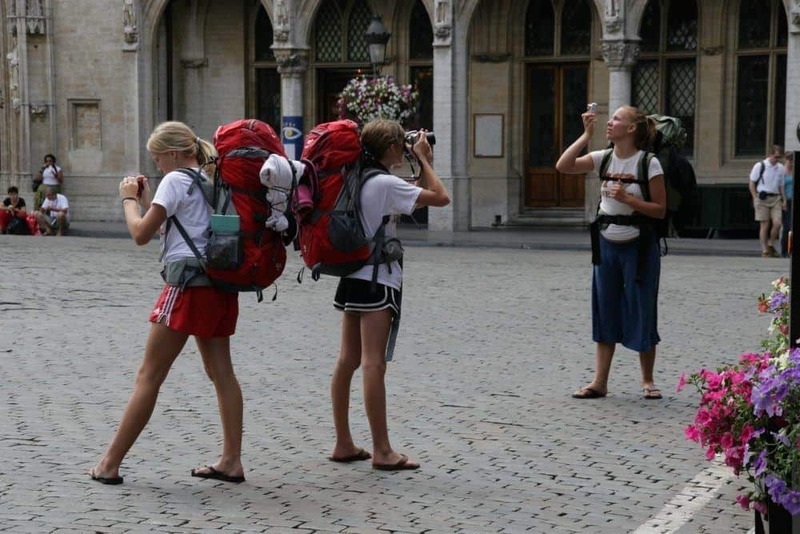 Speak to as many experienced backpackers as you can. Find out which backpack(s) they use and recommend. 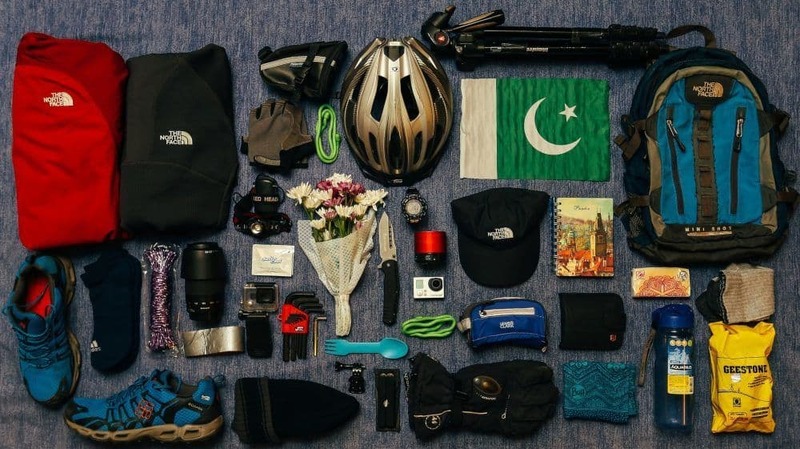 Ask them what they think is the ideal type of backpack for the trip you’re about to embark on. Find out if it’s better to carry one big backpack or if it makes more sense to carry one medium-sized backpack and another smaller backpack that you can wear front on. There are multiple online forums dedicated to backpacking, where you can find experts to talk to. Check for books about backpacking travels about the place you’re heading to. All of these will help you learn the smaller aspects of how to fit a backpack, which is often ignored. If you’re traveling alone, then use as much time as you can spare to train yourself for the trip. The best backpack with the ideal fit will provide you assistance on the trip, but if you’re physically not ready, it won’t be enough. The backpacking etiquettes mentioned towards the end of this article are as important as getting the right fit. So, try and follow them as closely as possible on the trip. All of these instructions are not meant to overwhelm you. These will equip you for the trip and enable you to enjoy it to the fullest. Have a great trip!